Atomi is based around classes. 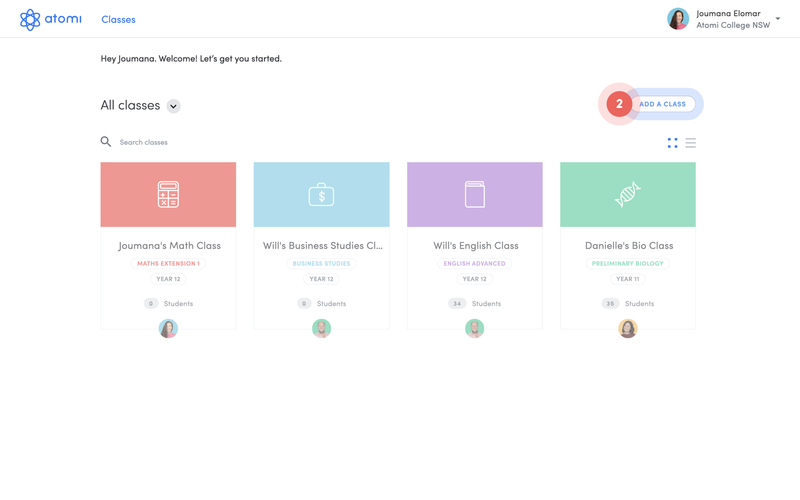 In order to view all the lessons for a subject and give your students access to those lessons you'll need to create a class! 2. 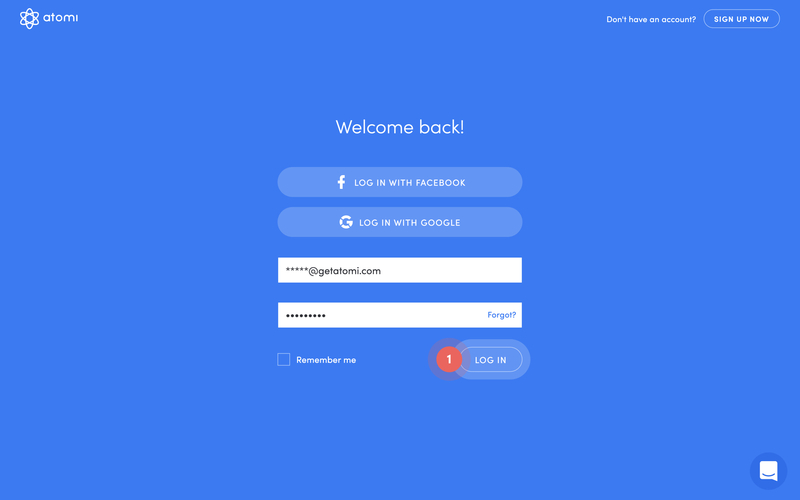 From your dashboard, click the Add a class button on the right hand side of the screen (If you're on a mobile, it's the large round blue '+' button in the top right). 3. 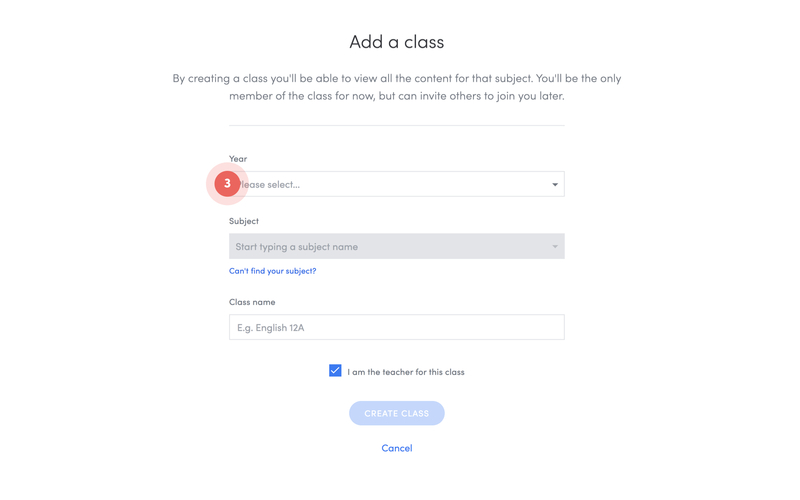 Select the appropriate year group and subject for your class and give your class a name. 4. By default you'll be added as the teacher of this class. If you're not, just deselect the I am the teacher for this class option. Even though you are not the teacher of this class you'll still be able to see all the classes on your school account and access the content! 5. Click on the Create class button to finish! 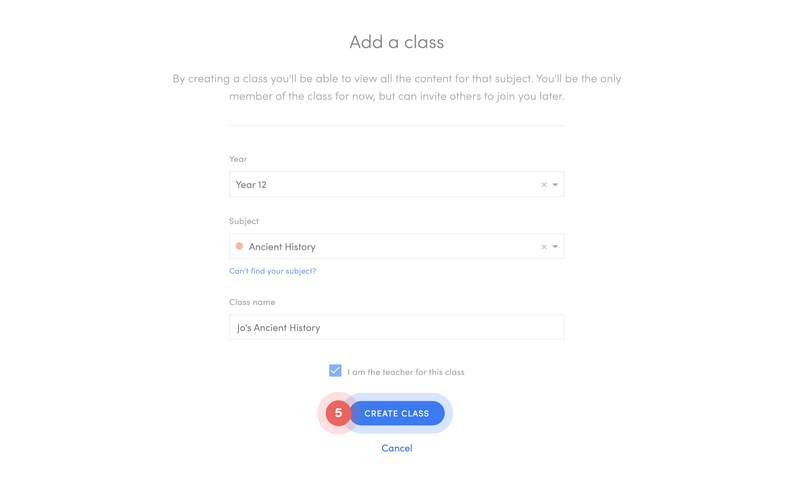 You’ll now see your new class on your dashboard. 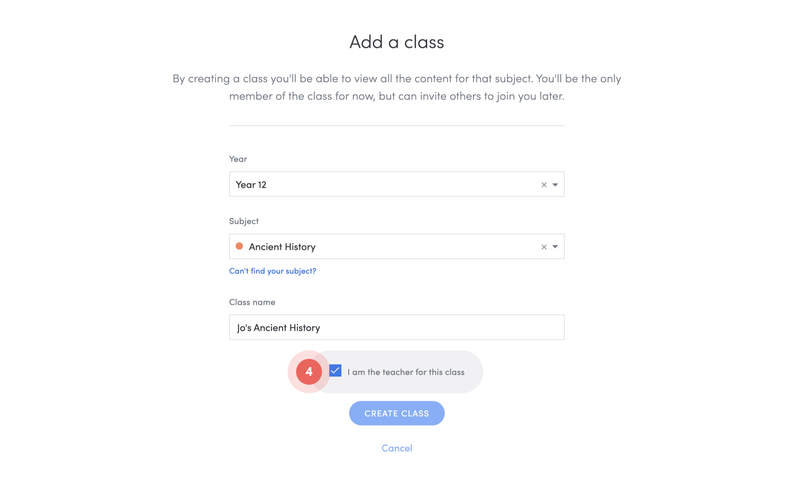 Please note: If you're not the teacher for the class you've just created you'll need to switch your dashboard view to All classes to see the class. You can do that by clicking on the arrow icon next to the My classes heading on your dashboard.